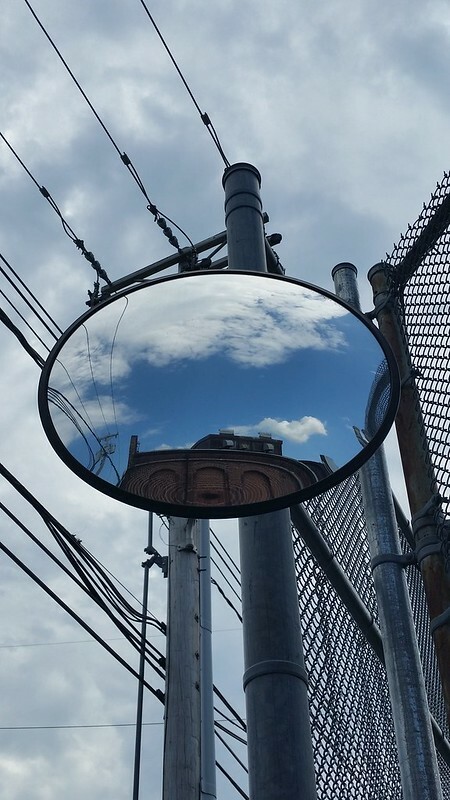 A mirror reflection of the sky from a street-mirror. I pass by this mirror regulaly on my walks. It's a mirror for vehicles entering and exitting an electrical center in the city. Today, I just happen to look up and saw the reflecting sky and realized I had my photo for the day. I appreciated that in some ways, the mirror just looks like a portal to another part of the sky or even how the cloud of the mirror feels like a continuation of the cloud outside of the mirror. Even the wires coming from the left of the photo even seem to run into the mirror itself and connect to the building.